Textile trade events attract designers and buyers for inspiration, introduction to textile trends and networking possibilities. Pitti Filati 81 was one of these world renowned events, taking place on the 28th of June for a three day show. 5350 buyers, designers and trade members descended into the Fortezza da Basso in Florence, Italy. Textile representations from 15 different countries were shown in an impressive display of the worlds leading innovations in fibre, yarn and textile trends for next season. Perino by Woolyarns exhibited at Pitti Filati this year alongside our new distribution partner Iafil SpA. Sharing the booth with Iafil was an eye opening experience, seeing first hand the trusted relationships they have built within their network of fashion industry innovators. Woolyarns’ International Sales Manager Andy May and Marketing Manager Jimad Khan introduced the world of our luxury Perino yarns to clients of Iafil as well as greeting visitors met in previous years. It is always inspiring for our team to see the reactions from designers and buyers as they feel the touch of Perino for the first time – a true recognition of the unique properties that blended Brushtail Possum yarns have to offer. Among the visitors to the booth were designers and representatives from internationally acclaimed brands including Louis Vuitton, Christian Dior, Brioni, Versace, Dolce & Gabbana, Valentino, Ralph Lauren Polo and Balenciaga. Perino by Woolyarns capsule collection designed by Wynn Hamlyn, featuring a new colourway for FW 18/19 ‘Cobalt’. Perino by Woolyarns‘ FW 18/19 collection aligns with the luxury fashion market trends shown at Pitti Filati. Standout textile trends throughout the show included alpaca, yak and other luxurious specialty fibres, a huge suite of colour and athleisure options with yarns focused on performance as well as aesthetic. Our Brushtail Possum fibre is unlike other fibres currently on the market with its rare softness and incredible thermal properties. Through sophisticated depigmentation processes, Perino yarns can be engineered in a rainbow of shades, including custom colours to fit with design. Eco themes prevailed at the show also, as we have been seeing worldwide, with organic, traceable or sustainable practices embedded amongst yarn collections. Our Perino sustainability story was of interest to many of the booth visitors. Another standout trend was fluffy, brushed fabrics, which can be achieved beautifully using Perino yarns. Our possum yarns are known for the a soft halo of brushtail possum fibres bursting on the surface of the fabric. In recent years, fast fashion demands are changing the landscape, yet couture fashion week never ceases to amaze and inspire. Traditionally, the fashion trend cycle begins in couture fashion, then flows through to luxury fashion and all the way down to fast fashion. The FW 17/18 Couture Fashion Week happened earlier this month as usual in Paris – representing future trends that will evolve into next season. Standout pieces included Fendi’s rich cobalts and deep burgundy’s in landscapes of fur and textured fabrics. Assymetrical volume, patchwork and bold colour at Victor and Rolf’s show, not to mention the oversized woolen bobble head masks worn by half the models. Juxtapositions of flowing silks and structured woolens dominated Dior’s elegant show, while Chanel’s textural tweed matching sets along had copious embellishments of feathers and ruffles. These trends wowed show attendees, with a sure evolution that will find its way into mainstream fashion. This year some ready to wear design houses exhibited alongside the Haute Couture Ateliers. Rodarte and Proenza Schouler who were invited to show at couture week, both choseto do so instead of showing at New York Fashion Week in September. Changing traditions show an evolution of attitudes in the fashion industry. Originally only haute couture maisons accredited by ‘the Chambre Syndicale de la Haute Couture’ were able to show at this event. The garments had to be created at in house ateliers, custom fitted and made using hand savoir-faire techniques. With only 15 ateliers left that fit the criteria of Haute Couture, inviting ‘guest members’ creates diversity as well as elevating the ready to wear collections. Textile trends emerging from these shows included textural fabrics and voluminous pieces. The chunky woolen fabrics, textural yarns, intricate laces, pleats set in silks and tulles, fluffy, feathery adornments and structural fabrics all lend themselves to architectural designs. It is inspiring how the ideas from the fashion design elite will be reimagined, interpreted, rebelled against and fed off in coming months as creative teams throughout the world dissect the work seen at Couture Fashion Week. In an interconnected world, we are seeing trends crossing over between industries. 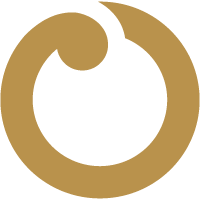 This creates interdisciplinary ideas and trends that echo in every avenue of design. Diversity and sustainability are overarching trends across many industries and platforms. Sustainability is an ideal now embedded into everyday thought and language and continues to be a trend that can be seen from food to farming to name but a few industries. Diversity in race, gender and sexual orientation representation in media, fashion, entertainment and workplaces is also gaining in importance worldwide. Technology in particular is a trend spilling into almost every industry in some way or another. Technologies in manufacturing, yarn technologies, embellishment techniques, intercommunication enabling collaboration and changes in the way consumers absorb fashion and textile trends are going to continue to evolve. Emerging designers are another avenue to interpret possible upcoming trends and innovations. Especially in graduate collections, new fashion designers have the freedom to create without having to make their collection commercial. Middlesex university graduates depicted oversized silhouettes, exploration of gendered dress, utilitarian style outfits touching on apocalyptic discussion and the use of textile arts and handicraft to create bespoke pieces. Central Saint Martins students too are a unique source of energy and a cross-over from fashion into fine art. The 2017 graduate show included unlikely materials, couture-like creations and deep themes and meaning behind the pieces. Next on the agenda for Perino by Woolyarns is SpinExpo Shanghai, which will be our third year in a row attending. 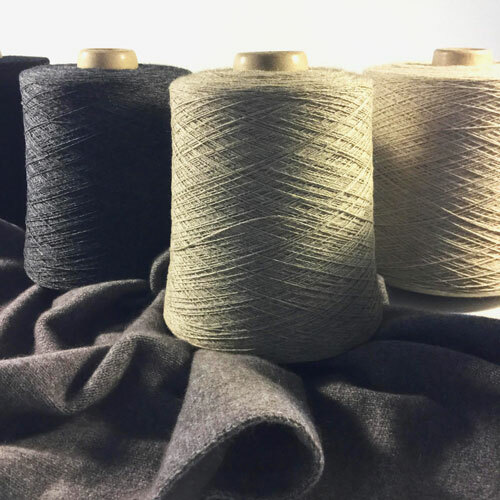 As at Pitti Filati at the end of last month, SpinExpo will see the FW 18/19 collection from Perino by Woolyarns, including new season colours and Perino Alto, a brand new luxury blend exhibited to the Chinese market. It will be interesting to observe how textile trends in the Chinese market may differ or align with those in Europe. Woolyarns will be at booth U01 with our team available for discussion about our Brushtail Possum down blends, samples to take away and order and an opportunity for designers and buyers to feel the opulent touch of Perino. Please do not hesitate to get in touch here if you are attending SpinExpo and wish to connect with the Perino by Woolyarns team. Vogue dissects the changing Haute Couture space with guest members, what to expect and a little bit of history of the major fashion event. Interdisciplinary designer Martina Spetlova started her career as a chemist, then studied at Central Saint Martins in fashion and likens design to a scientific experiment.